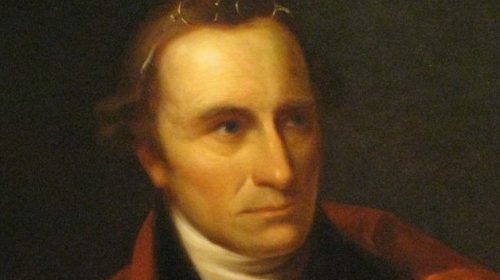 Patrick Henry’s courageous and ceaseless arguments against tyranny have all but been forgotten. School children are taught in American History classes that he once boldly proclaimed “give me liberty or give me death!” But his fearless, bold and unremitting arguments against the Constitution, something he saw as truly tyrannical, are seldom mentioned, much less discussed. Below is an excerpt, lightly edited for clarity and brevity, of a speech he gave on June 5, 1788 to the Virginia Ratifying Convention in a final petition against Virginia’s ratification of the Constitution. Were his warnings unfounded or prophetic? You be the judge. “Here is a revolution as radical as that which separated us from Great Britain. It is radical in this transition; our rights and privileges are endangered and the sovereignty of the states will be relinquished. “Will the oppressor let go the oppressed? Was there ever an instance? Can the annals of mankind exhibit one single example where rulers, overcharged with power, willingly let go the oppressed, though solicited and requested most earnestly? Sometimes, the oppressed have got loose by one of those bloody struggles that desolate a country; but a willing relinquishment of power is one of those things which human nature never was, nor ever will be, capable of. “The American spirit has fled from hence: it has gone in search of a splendid government, a strong, energetic government. Shall we imitate the example of those nations who have gone from a simple to a spindled government? Are those nations worthy of our imitation? What can make an adequate satisfaction to them for the loss they have suffered in attaining such a government for the loss of their liberty? If we admit this consolidated government, it will be because we like a great, splendid one. Some way or other we must be a great and mighty empire; we must have an army, and a navy, and a number of things. When the American spirit was in its youth, the language of America was different: liberty was then the primary object… But now, the American spirit, assisted by the ropes and chains of [this Constitution], is about to convert this country into a powerful and mighty empire. If you make the citizens of this country agree to become the subjects of one great consolidated empire of America… there will be no checks, no real balances, in this government. What can avail your specious, imaginary balances, your rope-dancing, chain-rattling, ridiculous ideal checks and contrivances? “In this scheme of energetic government, the people will find two sets of tax-gatherers, the state and the federal sheriffs. This, it seems to me, will produce such a dreadful oppression as the people cannot possibly bear. The federal sheriff may commit what oppression, make what distresses, he pleases, and ruin you with impunity; for how are you to tie his hands? Have you any sufficiently decided means of preventing him from sucking your blood by speculations, commissions, and fees? Thus thousands of your people will be most shamefully robbed: our state sheriffs, those unfeeling blood-suckers have, under the watchful eye of our [state] legislature, committed the most horrid and barbarous ravages on our people. It has required the most constant vigilance of the [state] legislature to keep them from totally ruining the people; a repeated succession of laws has been made to suppress their iniquitous speculations and cruel extortions; and as often has their nefarious ingenuity devised methods of evading the force of those laws… if sheriffs, thus immediately under the eye of our state legislature and judiciary, have dared to commit these outrages, what would they not have done if their masters had been at [a federal capital]? It is there that you must appeal, and to judges sworn to support this very Constitution, in opposition to that of any state, and who may also be inclined to favor their own officers. When these harpies are aided by excisemen, who may search, at any time, your houses, and most secret recesses, will the people bear it? “This Constitution is said to have beautiful features; but when I come to examine these features, they appear to me horribly frightful. Among other deformities, it has an awful squinting, it squints towards monarchy; and does not this raise indignation in the breast of every true American? “Your President may easily become king. Your Senate is so imperfectly constructed that your dearest rights may be sacrificed by what may be a small minority… where are your checks in this government? Your strongholds will be in the hands of your enemies. It is on a supposition that your American government shall be honest, that all the good qualities of this government are founded; but its defective and imperfect construction puts it in their power to perpetrate the worst of mischiefs, should they be bad men; and would not all the world, from the eastern to western hemisphere, blame our distracted folly in resting our rights upon the contingency of our rulers being good or bad? Show me that age and country where the rights and liberties of the people were placed on the sole chance of their rulers being good men, without a consequent loss of liberty! I say that the loss of that dearest privilege has ever followed, with absolute certainty, every such mad attempt. “This is my great objection to the Constitution, that there is no true responsibility and that the preservation of our liberty depends on the single chance of men being virtuous enough to make laws to punish themselves. “In the country from which we are descended, they have real and not imaginary responsibility; for their maladministration has cost their heads to some of the most saucy geniuses that ever were. Virginia ultimately decided to side against Henry and voted to ratify the Constitution just a few weeks later. Henry’s speech is worth reading in its entirety. You can read it here.